PRAGUE (30 March, 2016) — Prologis, Inc., the global leader in industrial real estate, today announced that it will expand Prologis Park Prague D1 East by developing two additional buildings, DC8 and DC9, totalling 10,360 square metres, for which two pre-leasing agreements have been signed prior to construction. 5,160 square metres in DC8 with Logflex, a Czech third-party logistics provider. 108 agency facilitated this transaction. 5,200 square metres in DC9 with Nagel-Group, a European food logistics provider specializing in temperature controlled goods. 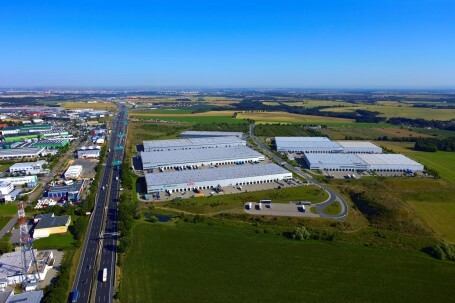 Nagel simultaneously extended its existing lease for 13,700 square metres in DC2 at Prologis Park Prague D1 West. Both facilities are scheduled for completion in the third quarter of 2016. Prologis Park Prague D1 East is located approximately 11 kilometres southeast of Prague at the Říčany/Jesenice junction and currently consists of seven buildings that total 130,000 square metres of state-of-the-art distribution space. Its proximity to the major D1 motorway offers excellent access to the Prague city centre, as well as numerous domestic and foreign trade routes.